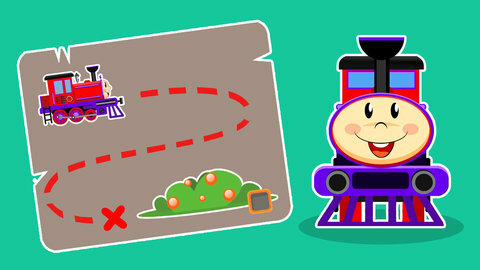 Choo Choo Train is on a treasure hunt! He knows the place where some precious stones are burried. Help him out by naming shapes and colors of the stones! Watch best educational cartoons for toddlers online for free at SeeZisKids.